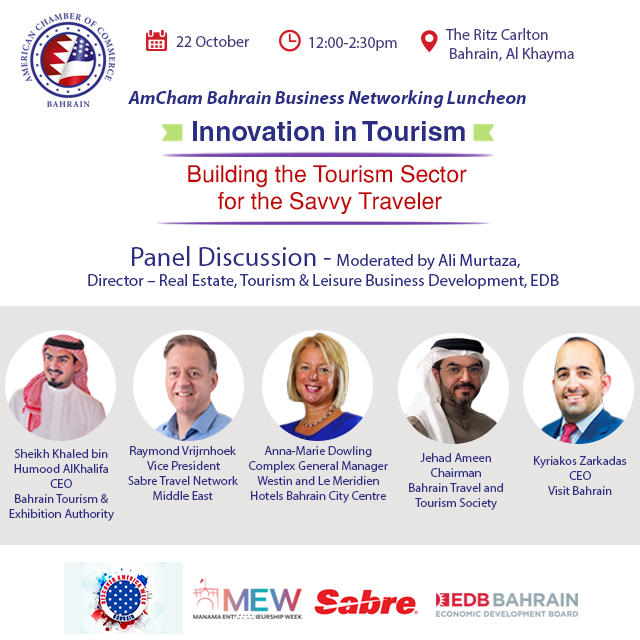 Join us in our Business Networking Luncheon for a discussion on the developments and innovations in the local and regional tourism sectors. Under Patronage of Capital Governor H.E. Sheikh Hisham bin Abdulrahman Al Khalifa, Governor of Capital Governorate’s 3rd annual Manama Entrepreneurship Week and the U.S. Embassy’s Discover America Week.